Hazem Balousha was uncharacteristically despondent when he greeted me recently at the end of my long walk through the open-air caged passageway that separates the modern hi-tech state of Israel from the tiny, impoverished, overcrowded Gaza Strip. Hazem has been a colleague and a friend for three and a half years, a relationship built over more than 20 visits I’ve made to Gaza. He arranges interviews and provides translation; but most importantly he helps me understand the people, the politics and the daily struggle of life in Gaza. We have talked for hours in his car, over coffee, at his home. He has accompanied me to grim refugee camps and upmarket restaurants; to the tunnels in the south and farms in the north; to schools and hospitals; to bomb sites and food markets; to the odd wedding party and rather more funerals. In the face of Gaza’s pressure-cooker atmosphere and bleak prospects, he – like so many I’ve met here – has always been remarkably good-humoured. But not this time. As we waited for Hamas officials sporting black beards and bomber jackets to check my entry permit, I asked Hazem: “How’s it going?” He shrugged, and began to tell me about the many phone calls he’d had to make to find a replacement cooking gas canister recently, and how his small sons whine when the electricity cuts out for hours each day, depriving them of their favourite TV shows. The people of Gaza are reeling from a series of blows that have led some analysts to say that it is facing its worst crisis for more than six years, putting its 1.7 million inhabitants under intense material and psychological pressure. Israel’s continued blockade has been exacerbated by mounting hostility to Gaza’s Hamas government from the military regime in Cairo, which sees it as an extension of Egypt’s deposed Muslim Brotherhood. The Egyptians have virtually cut off access to and from Gaza, and as a result Hamas is facing crippling financial problems and a new political isolation. 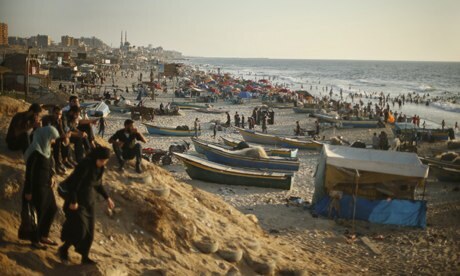 Power cuts, fuel shortages, price rises, job losses, Israeli air strikes, untreated sewage in the streets and the sea, internal political repression, the near-impossibility of leaving, the lack of hope or horizon – these have chipped away at the resilience and fortitude of Gazans, crushing their spirit. This was my last visit to Gaza before returning to London to live and work. I moved to Jerusalem in May 2010, to report principally on the Israeli-Palestinian conflict, but also social and cultural issues and the regional upheavals that erupted three years ago. Since I first came here almost 10 years ago, I had been fascinated by the place, its people, its history and its compelling complexity. I arrived eager to learn more about what is frequently called the world’s most intractable conflict, and to try to understand the powerful feelings of historical injustice on both sides. I am leaving angry about an occupation that has lasted close to half a century, weary of Israel’s grinding oppression of the Palestinian people, cynical about the political leadership on both sides and in the international community, and pessimistic that a fair resolution will be reached. Before heading home, I needed to say goodbye to Gaza, an extraordinary and unforgettable place. David Cameron once described it as a prison camp, which is exactly how it feels, hemmed in by walls and fences on three sides. On the fourth side, the Mediterranean, Israeli war ships patrol the horizon; overhead, F16s roar and drones buzz around the clock. “They are exercising their engines,” said Hazem with a wry smile, as a plane screeched over us. But they also unleash missiles on weapons stores, military training sites and militants’ homes in response to rockets launched at civilian targets in Israel. Not many outsiders get to see Gaza. As a foreign journalist, holding an Israeli-issued press card and a Hamas-issued Gaza residency permit, I can enter relatively easily. Israeli journalists are banned by their own government, which means their readers are rarely exposed to first-hand reports. Israel allows diplomats, UN staff and accredited aid workers to cross Erez, the border crossing at the northern tip of Gaza which it controls, and issues special permits to Palestinian officials and foreign delegations. Pretty much everyone else is barred. Consequently, the vast hangar-like terminal on the Israeli side echoes to the footsteps of these few, plus a tiny number of Palestinians, nearly all of whom are going to or returning from business trips or hospital visits. Since a number of suicide bombings at Erez a decade ago, the Israeli border and military personnel remain in offices high above the ground level, watching through blast-proof glass and CCTV, and issuing instructions via speakers. It is an eerie and unsettling experience, however many times you do it.Once you have passed through Israeli passport control, arrows direct you down a high-walled narrow corridor and through a series of turnstiles that take you to a remotely operated steel door in the vast concrete wall built along the border. The other side of the wall is Gaza, but you are confined to a long caged corridor through the Israeli-designated “buffer zone”. For the fit and healthy, it’s a 15-minute walk to the official Palestinian Authority office, where your passport is checked again. Attesting to the bitter political divide between the Fatah-run PA and the Hamas government in Gaza, Hamas officials run a separate entry process in a handful of shabby Portakabins half a mile down the road. Here you need to present your Hamas entry permit and have your bags checked for contraband, including alcohol. Booze-smuggling is not tolerated; if found, it is immediately poured into the ground. Inside Gaza, there are few restrictions imposed on foreigners. I’ve often been asked if I have to wear a headscarf on Hamas-controlled territory. Only once have I been asked to cover my hair, when visiting the Islamic university which operates a strict dress code for women students and staff – but I do have a “Gaza wardrobe” of trousers and long-sleeved, loose-fitting shirts. The vast majority of women in Gaza wear the hijab, but not all; and among those who do, there is a cheering amount of fashionable creativity and individuality on display. Another question I’m frequently asked is if I feel safe. The answer is yes and no. I’ve never felt in danger from any Palestinians in Gaza, Hamas or otherwise, except from customary gunfire at funerals. But I’m constantly aware of the risk of being inadvertently caught in an Israeli airstrike. During Operation Pillar of Defence, the eight-day war in November 2012, I lay awake at night listening to shells launched by Israeli warships whizz past my hotel window, the sound of overhead bombing, and the whoosh of Hamas and Islamic Jihad rockets being fired out of Gaza. I was very frightened – and acutely aware that Palestinians faced a far bigger risk. Fourteen months after that mini-war, on this last visit, Hazem and I talked of the hope – now long faded – that swept Gaza when the Israeli army and Jewish settlers pulled out in 2005. The sense of liberation at the time, and the dream that Gazans might be free to determine their own future, and become a model of a future state of Palestine, was swiftly dashed on the rocks of Israel’s political actions and military operations, and the rise of Hamas. Another brief moment of hope came in May 2010. Under intense international pressure following the killing of nine pro-Palestinian activists on board a flotilla of boats attempting to break the blockade of Gaza, Israel eased its draconian siege which had been in force since Hamas took control of the strip. Then, I talked to factory owners who were desperate to begin importing raw material and exporting finished goods, fishermen impatient to take their boats beyond a three-mile limit imposed by Israel; families who longed to visit relatives in the West Bank without having to travel through Jordan. But now, eight and a half years and two wars since Israeli “disengagement”, Gaza is still blockaded and hope is rare. Israel controls most of its borders, deciding who and what can get in and out. Almost all exports are still banned; fishermen are regularly shot at by the Israeli navy; families are still separated. And in recent months, Egypt has destroyed hundreds of tunnels which had been Gaza’s life support system, and has locked down the sole border crossing at the southern end of the strip, cutting Gazans off from the outside world.Inevitably, the consequences of the policies of Israel and Egypt – plus the continued political enmity between Hamas and Fatah – have had their most acute impact on ordinary people. In Gaza City, Hazem and I passed long queues of vehicles, whose drivers were waiting for hours to buy fuel. One, his face filmed with stress-induced sweat, suddenly leapt from behind the wheel of his yellow taxi to yell at another motorist. Omar Arraqi had waited in line for two hours to partially fill his near-empty fuel tank, and there was no way he was going to allow the interloper to push in front. Yelling and finger-jabbing have become routine at Gaza’s gas stations; sometimes punches are thrown. “People have fights all the time,” said Arraqi, whose income has dropped by 70% since Gaza’s fuel shortages took hold. The government fixes rates for taxi journeys – the only form of public transport in Gaza – while the cost of fuel, when available, has rocketed. Arraqi said it was becoming increasingly hard to buy food as prices of basic provisions were also rising. But he was most worried about the health of his two-year-old daughter, who was born with hydrocephalus. After two failed operations in Gaza, she had surgery in Egypt – but since the Cairo regime closed the border crossing last summer she has had no further treatment. “Without help, she will be disabled,” said Arraqi, worry etched across his face. His story was one of many accounts of daily small-scale struggles I heard during my last visit. The manager of a family-owned clothes shop told me he’d reduced his staff from 25 to 12, as well as cutting their wages by 10%. Families whose breadwinners are among the tens of thousands who have lost their jobs, or whose pay has been cut, told me they have less money to spend in the markets, where prices have shot up as a result of higher transport costs and the absence of cheap Egyptian goods. The price of a kilogram of tomatoes has quadrupled, along with steep hikes in the cost of essentials such as flour and sugar. Electricity is rationed, currently eight hours on followed by eight hours off. Some families are cooking indoors on open fires, at considerable risk of injury. Children are forced to study by candlelight. People set alarms for the early hours in order to be able to take a shower or charge their phones or send an email. Mealtimes are now determined by power supply rather than tradition. Gaza’s hospitals have to take into account the vagaries of the power supply when scheduling surgery; pharmacies are running low on medicines. Roadworks and half-finished buildings – new homes, hospitals, schools – are abandoned as the lack of materials makes completion impossible. Last month, a devastating storm swept through the Middle East bringing chaos and destruction to Gaza. At least 10,000 families were made homeless by flooding; children had to wade through rivers of rainwater mixed with raw sewage to reach school. The storm wiped out fruit and vegetable crops. “After almost seven years of siege, we were simply unable to cope,” a local aid worker told me. An indication of personal desperation and social unravelling lies in an unprecedented rise in property crime, previously almost unheard of in Gaza. Domestic violence is also increasing. 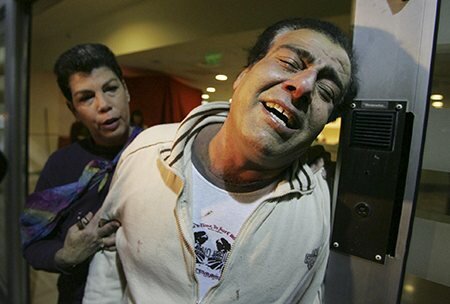 Gaza has come close to breaking point before – especially during the brutal three-week war with Israel in 2008-9. But I’ve always been impressed by the resilience, creativity and humour of ordinary people, despite their adverse circumstances and repeated setbacks. Memories of many individuals I met will stay with me for a long time. In June 2012, I visited the artist Maha al-Daya at her home just after she returned from a four-month stint as artist-in-residence at the Cité Internationale des Arts in Paris, leaving her three young children in the care of her husband amid some disapproval. As she showed me her colourful seascapes and vivid abstracts, she laughed when I asked her how she found inspiration in the dust and destruction of Gaza. “This is what I see,” she said, adding that if I looked for colour and vibrancy against the grey backdrop of Gaza, I would also find it. Long before he shot to global fame after winning Arab Idol last year, I met singer Mohammed Assaf at a wedding party at which he was performing. He told me he had been arrested more than 20 times by Hamas security forces, who demanded he stop singing in public. He refused to be deterred: “My message as a Palestinian is that we not only speak or fight or shoot, but we also sing,” he said. I spent a glorious day on the beach – Gaza’s one magnificent natural asset – with 12-year-old Sabah Abu Ghanim, a passionate surfer who regularly hogged the single ancient board shared between friends and family and who studied surfing techniques on the internet. She told me she felt “freedom and happiness” in the waves that crash into Gaza’s coastline. Yet she accepted without resentment the conservative social mores that would require her to give up her beloved sport when she reached puberty.I cooked maftoul, a type of couscous, and made cheese- and herb-filled pastries with the women of the Zeitun Kitchen, who run a successful collective business catering for weddings and parties from premises that regularly lack power. Along with a tightened waistband, they left me with an indelible memory of cheerful gossip and laughter as they worked in the gloom and stifling heat. These and others belie the demonic image of Gazans, often promoted by Israel. Rather, they are overwhelmingly decent people who simply want food on the table, a better life for their children, dignity, respect and freedom. But not all my encounters were positive. I also met grieving mothers who expressed fervent hope that their infant sons would grow up to avenge their dead fathers or siblings by killing Jewish children, a profoundly depressing illustration of the cycle of violence here. I listened to Hamas officials saying the bloodshed of their own civilian population was necessary in the fight to the death with the “Zionist entity”. I witnessed the funerals of children, saw the destruction of homes, felt growing despair and the near-extinguishing of hope. And – despite’s Israel’s intentions when it tightened its siege following the Hamas takeover in Gaza in 2007 – I’ve seen the Islamic party’s power become more entrenched during my time here. Hamas was elected on a wave of revulsion against the corrupt Fatah old guard and on a track record of providing practical support and services to the population, as well as a pledge to lead the resistance against the Israeli occupation. It has since suppressed political opposition, enforced an Islamic code of social conduct and, with its repeated rocket attacks, provided Israeli politicians with a useful justification for some of their more extreme rightwing policies. Now, after the brutal crackdown on Hamas’s ideological parents, the Muslim Brotherhood, in next-door Egypt, the faction is facing a crisis. 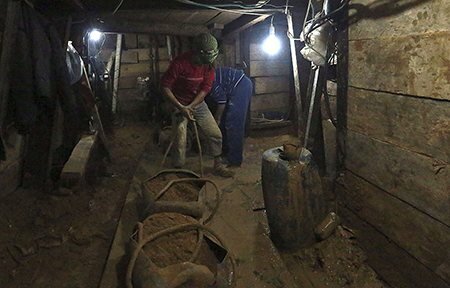 It is unable to ease the harsh living conditions of the people of Gaza, thanks to the calamitous loss of income and cash flow following the closure of the tunnels. It is now politically isolated in the region, and its unpopularity at home is growing. Yet its power is unchallenged. The UN recently warned that Gaza was rapidly becoming uninhabitable. But this is not as a result of a natural disaster – an earthquake, say, or a typhoon – but of destruction, de-development, suffocation and isolation caused by the deliberate policies of Israel and Egypt, with significant contributory factors from both Hamas and Fatah. And the material and psychological siege of Gaza has profound consequences not just for the population, but also for regional security. On my last morning in Gaza, the terrace restaurant of the beachfront hotel I have frequented over recent years was almost empty. Few journalists and diplomats come to Gaza these days, as attention – understandably – has swivelled to crises elsewhere in the region. “The world has forgotten us,” one Gazan told me. After breakfast, Hazem drove me back to the Erez border crossing, through streets in which donkey-drawn carts are replacing fuel-thirsty vehicles, and men while away their lives sipping coffee on plastic chairs for the want of a decent day’s work. I left a place that I have grown to care deeply about with a profound sense of gloom about its future. After Hamas officials gave me permission to go, Hazem and I risked a socially unacceptable parting hug and he wished me good luck. But it’s he and the people of Gaza who need luck, and a lot of it.